It’s that time of year when the days are dark, cold, and dreary here in Vancouver. Don’t get depressed, get excited like we do! Why do we get excited? Well… it just means we are that much closer to our warm water season of catching bones, permit, and tarpon on the the flats. Morry with a nice sized bonefish from last years trip to Cuba! This year we have two great trips we are offering. 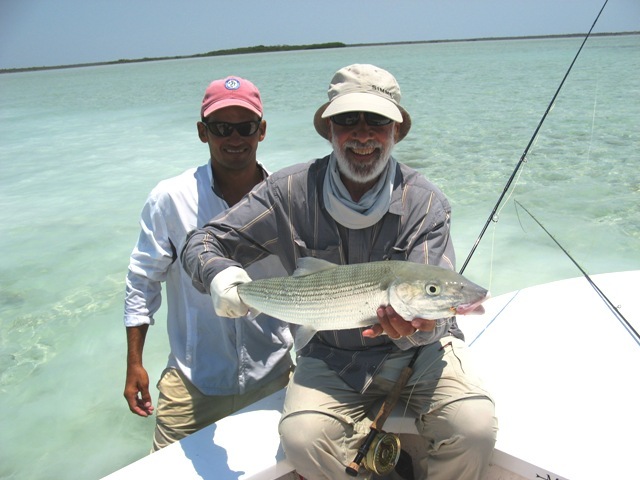 The first is a trip to Cayo Romano, Cuba for some amazing fishing on the flats for bones, permit, and tarpon. Matt Sharp hosted a group of Pacific Angler Expeditions clients last year, and we can’t wait to head back down this year! For detailed information on this trip click Cayo Romano. The second trip we are offering has been specifically designed for the angler who wants to target tarpon. We will hit two locations in Mexico. Campeche and Holbox. Both are teaming with tarpon! The first location will get your skills honed on smaller fish and the second location is home to fining monsters that will test you and your tackle. If these dates don’t work for you but you still want to go warm water fishing, no problem. Each year we set up our clients with custom trips for bones, permit, tarpon, marlin, sailfish, tuna, dorado, just to name a few. We have fished destinations like Cuba, Belize, Mexico, Venezuela, and Panama. Don’t leave it to chance, we know the right guides in the right areas, and we know when to go and what to use. If you would like to book a trip please give us a call at Pacific Angler 604-872-2204.